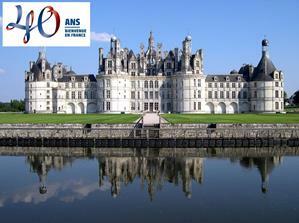 Visit of Château de Chambord : Proposed by the group "Treasures of French heritage" a prestigious visit to celebrate our 40th anniversary, in this majestic setting. The National Monuments offer us an exceptional visit of the Arc de Triomphe. Let’s get ready to discover one of the most beautiful views of our Capital from the panoramic terrasse of the Arc de Triomphe. 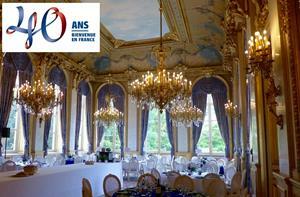 International Lunch The traditional "International lunch of Bienvenue en France", will be held in the magnificent Palace of the Foreign Affairs Ministry, where our Honorary President, Mrs. Maria Vadillo Le Drian will welcome us to celebrate together the friendship between our countries.. 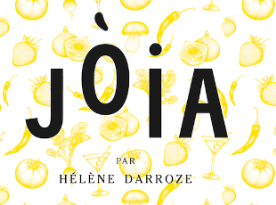 The group "Restaurants” is expecting you at the restaurant JOIA, the chic bistro of the famous star chef Hélène Darroze in the heart of Sentier. The group "Economy and luxury industry" is offering the discovery of Michel and Augustin, the troublemakers of taste, French pastry industry. 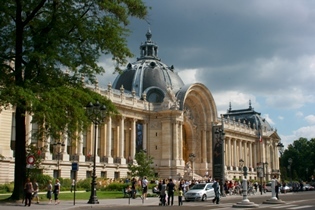 "The group "Musical events" is offering a lunch time concert followed by a visit to some masterpieces from the permanent collection at the Petit Palais. 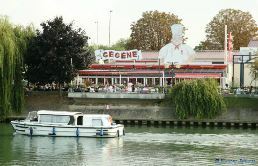 The group "Saturday in the province and from Opera to family outings" will entice you with a boat trip "Over the water on the Marne".